It is with great sadness that we heard today of the passing away of Grampound stalwart Roger Paynter. Roger has been a fixture at Grampound Football Club since the 1950s when he started as a player and has performed many roles at the club in the 60+ years since, as well as being a well-respected local referee. Always willing to help and to give sensible advice he will be sorely missed by all who came across him at the club. Since having to give up running the line at Grampound matches he watched as many games as he could and few things gave him greater pleasure than seeing his beloved club play well. He cared deeply for his village football club and gave so much in many ways to the village he loved. I met Roger in the early days of my local football Admin involvement. Always a gentleman and willing to advise and help, a lovely chap. RIP Roger, definitley one of the old school! Rest in peace indeed. Every club should have a Roger Paynter. Many have of course, salt of the earth and worth their weight in gold. 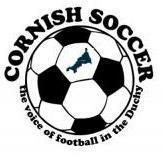 Condolences to Roger's family and to all at Grampound FC from everyone at Probus FC. Unfortunately for all clubs stalwarts like Roger are becoming few and far between.